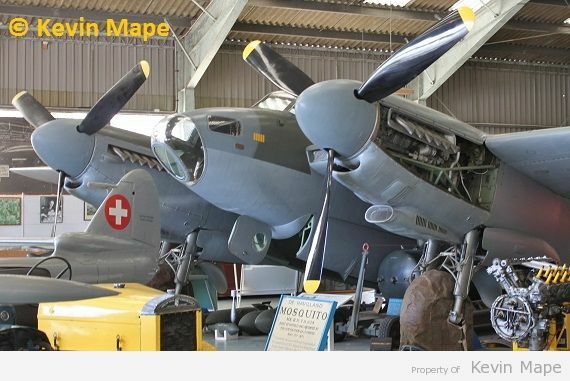 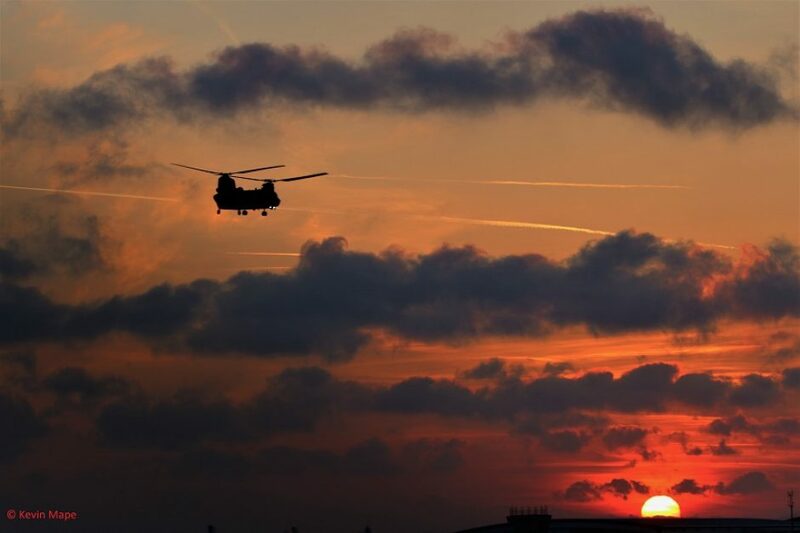 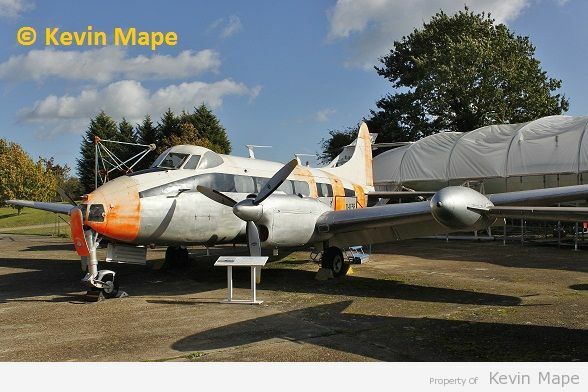 With the task of dropping some of the family at Gatwick Airport, I took the opportunity to visit a couple of the Aircraft Museums that our close to the M25. 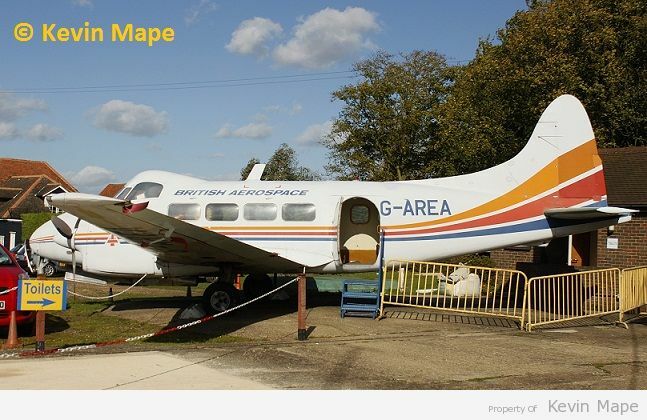 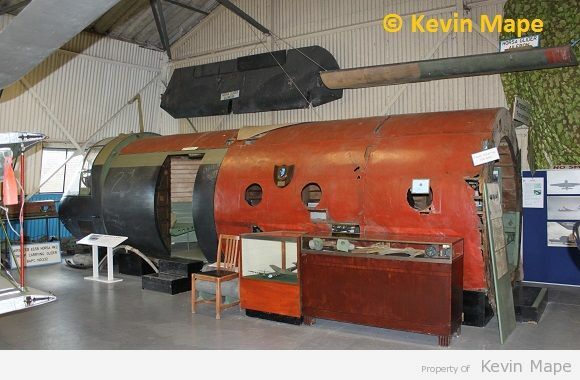 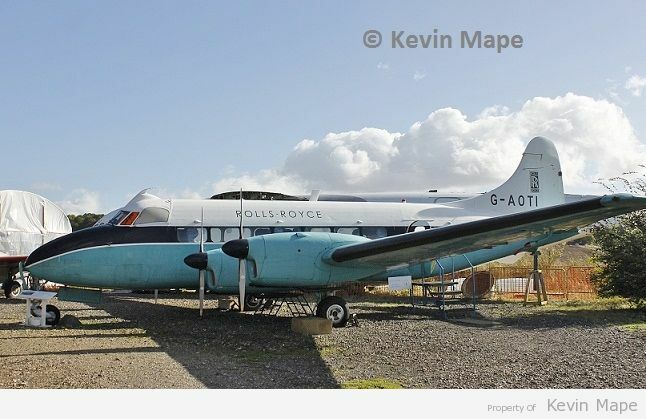 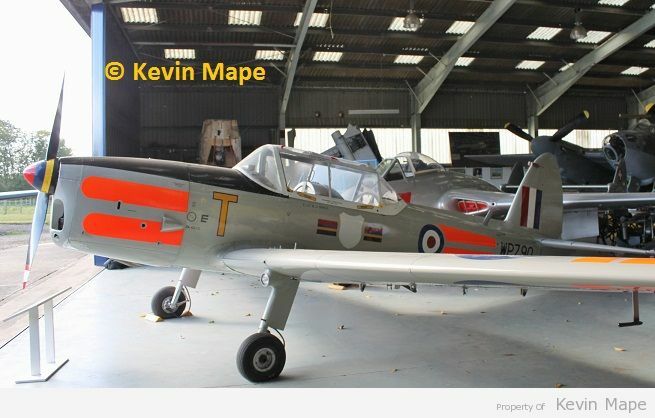 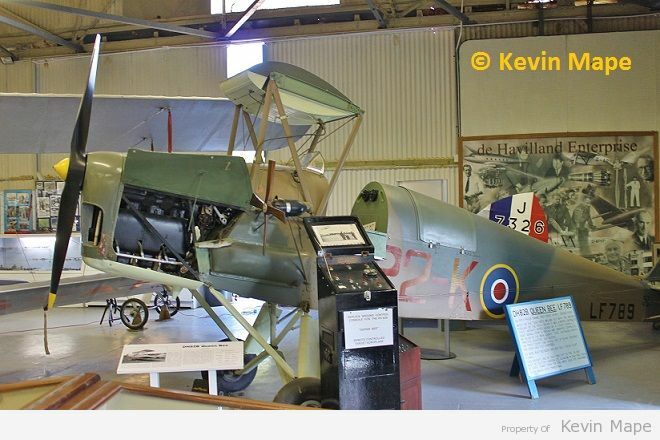 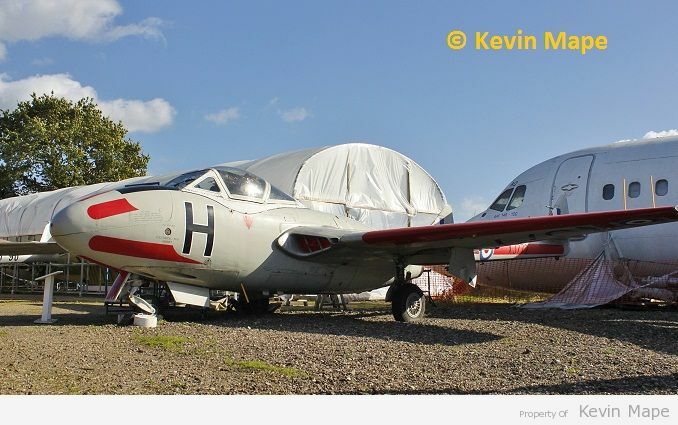 First on the list was London Colney that sits close to junc 22, It has been long time since I was last at this museum, I have posted a list of the aircraft and I have posted the aircraft that I was able to take pictures of. 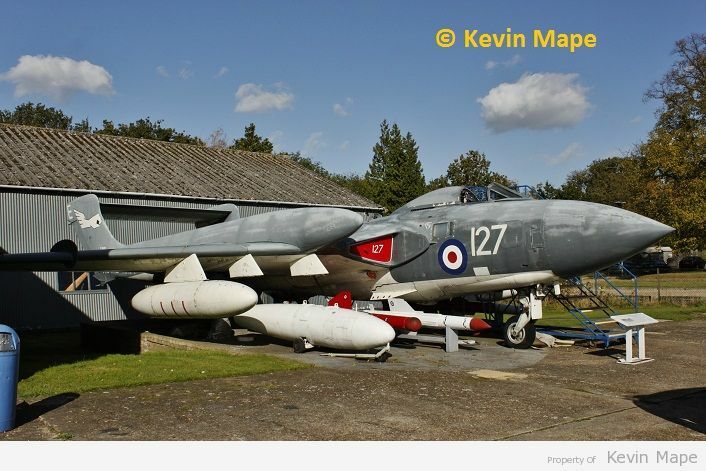 The staff were not very helpful and a lot of the aircraft needed a lot of work to bring them up to display standard, I will not be in a hurry to return to this Museum. 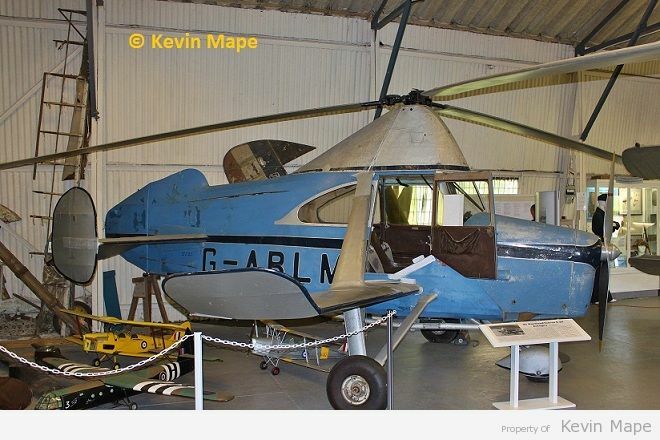 1 / G-ABLM – Cierva C.24 – Registered on 22nd April 1931 this aircraft was WFU in December 1934 and is on loan from the Science Museum. 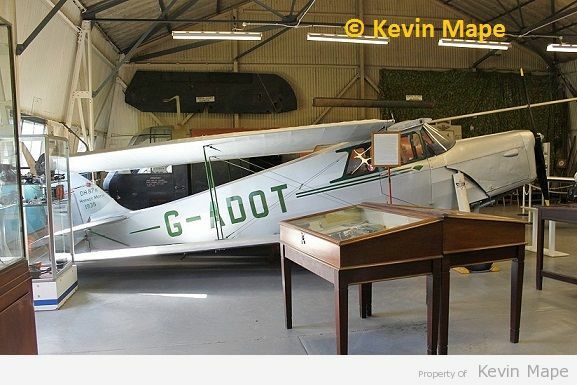 2 / J-7326 (G-EBQP) DH53 Humming Bird– This was registered on the 4th April 1927 and crashed at Hamble on the 21st July 1934, Restoration started in 1977. 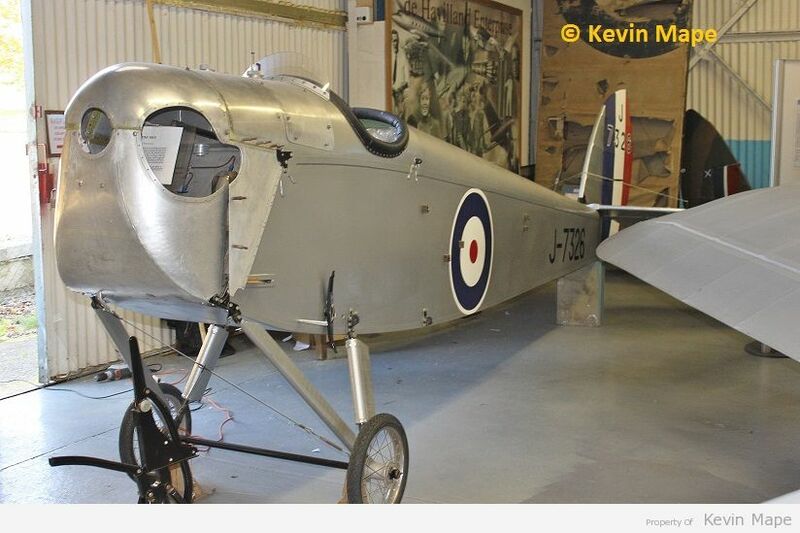 3 / G-ADOT DH87B Hornet Moth – Registered on 6th October 1935, This was impressed into the RAF on 29th Febuary 1940 and was restored to the British register on 20th May 1946. 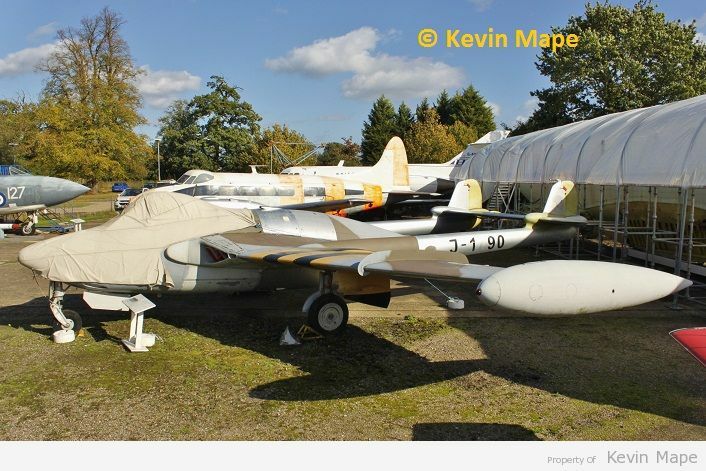 WFU at Stapleford in October 1959. 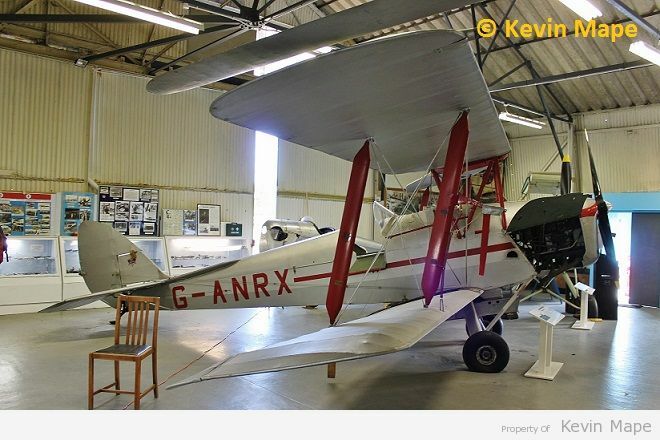 4/ G-ANRX DH82 Tiger Moth (Crop duster) – Registered 25th May 1954 and was one of a number converted for Crop Spraying, WFU by June 1967. 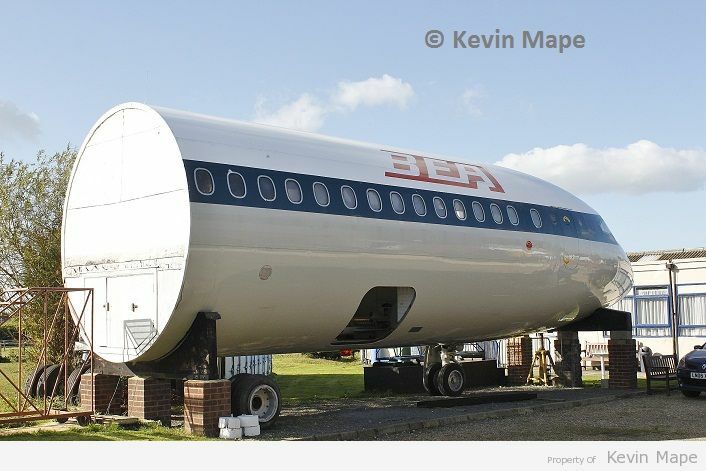 5/ BAPC186 “LF789” R2-K DH82B Queen Bee Fuselage sits on it’s own wheels. 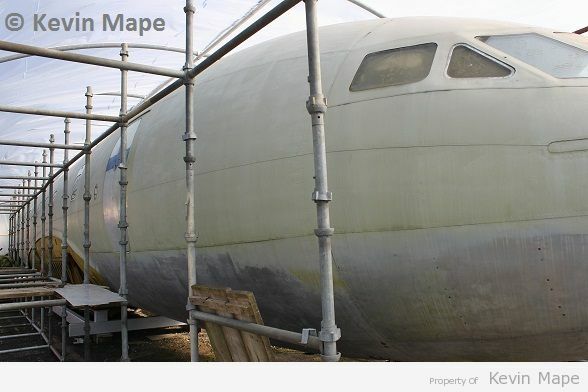 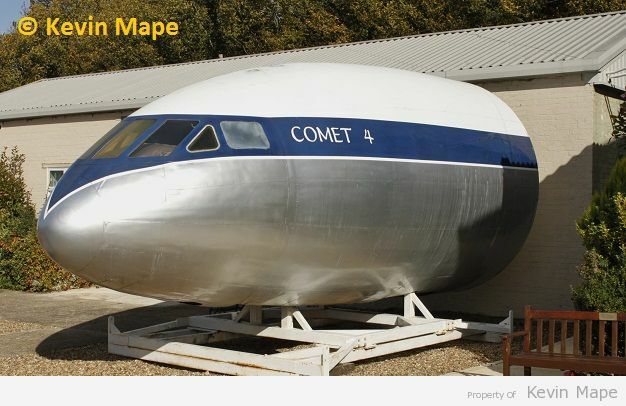 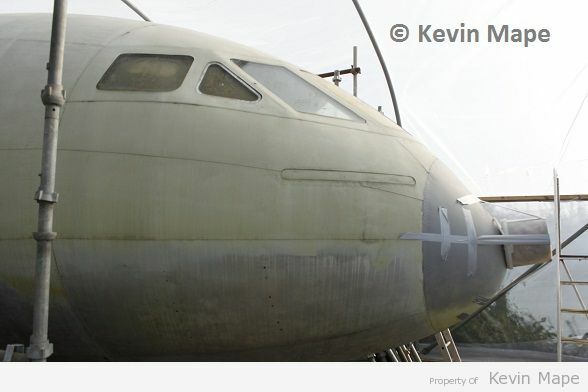 10/ F-BGNX DH106 Comet 1 XB – Fuselage only – under restoration. 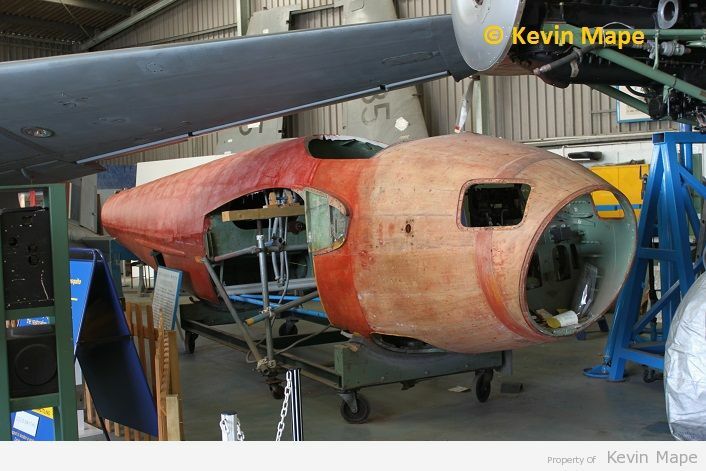 12/ G-AVFH HS121 Trident 2E – Front Fuselage Section. 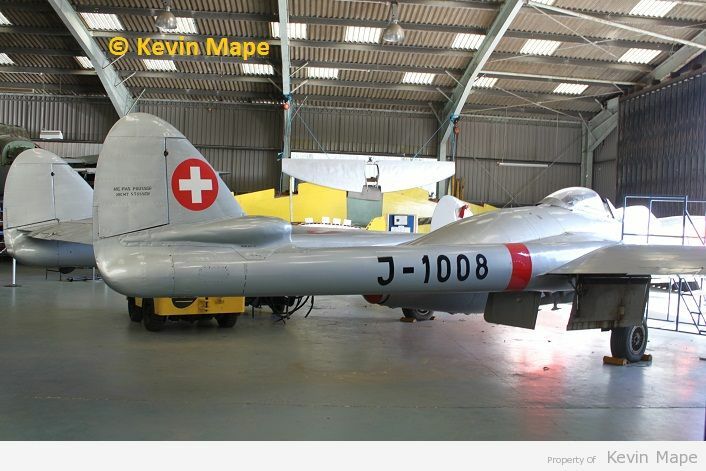 16/ J-1790 (G-BLKA) DH112 Venom FB54 – in Swiss Air Foce marks. 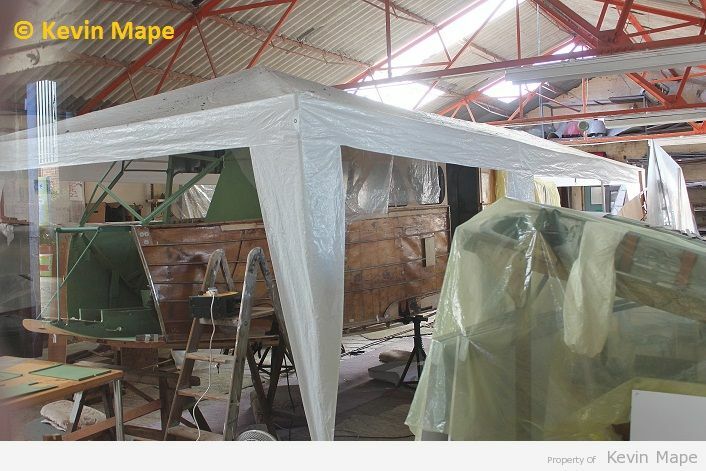 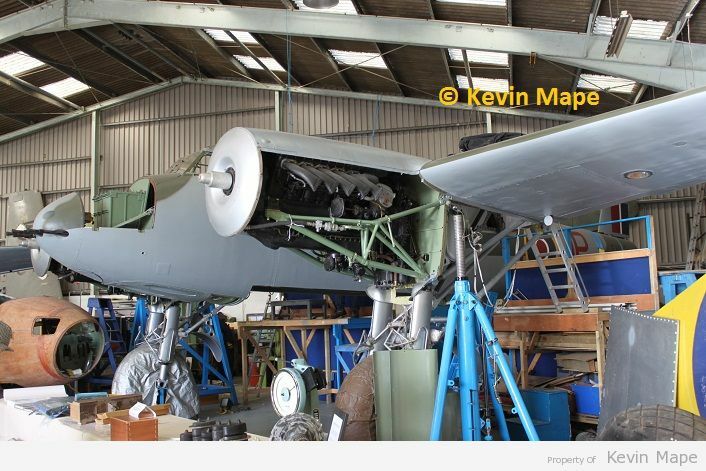 18/ W4050 DH 98 Mosquito I – Under Restoration. 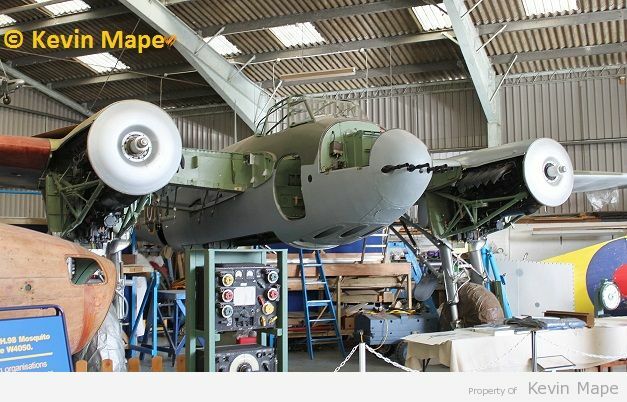 19/ TA122 UP-G 605Sqn marks DH 98 Mosquito FB6 – Under Restoration. 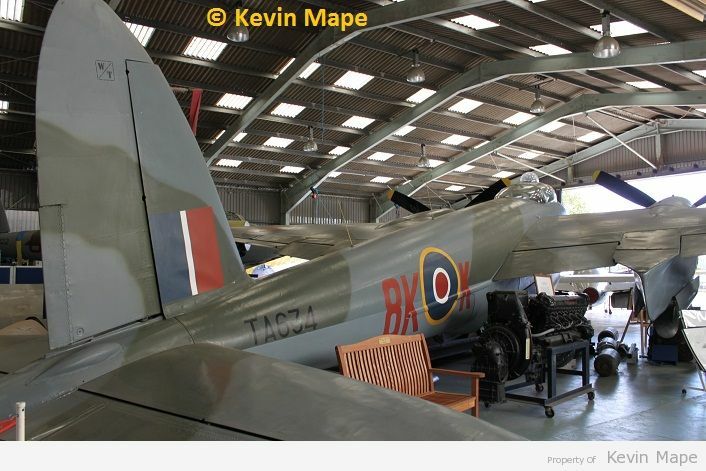 20/ TA634 8K-K 571Sqn marks DH 98 Mosquito TT35 – Under Restoration. 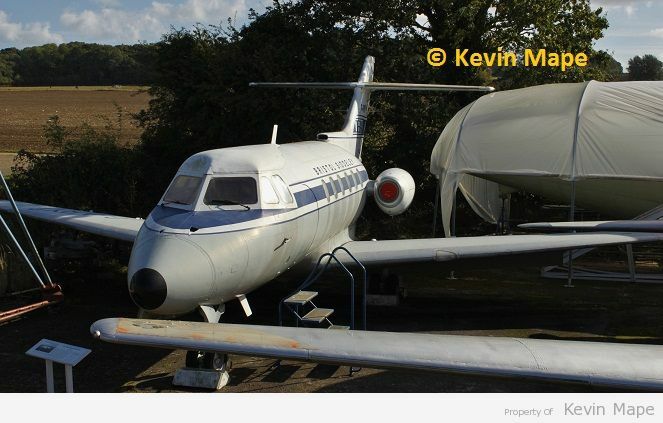 A lot of very rare aircraft in this private run Museum.